Located in the Creative Crossroads district of Kansas City, The Guild is a uniquely malleable space suitable for a full range of occasions, including corporate and private parties, weddings, fundraisers and more. The Guild includes a 6,500 sq. ft. indoor space with a large open ballroom, as well as a private 5,000 sq. ft. urban garden adorned with café lights. A breath of fresh air in the middle of the city, the outdoor green space can be used for picnics, garden ceremonies and more, with parking in abundance nearby. The interior venue radiates a distinct vintage charm with polished original concrete floors leading to exposed brick walls and 12-foot windows. A 20 ft. hangar ceiling sports a stunning salvaged 12-foot chandelier centerpiece in front of a beautiful custom bar. Floor-to-ceiling subway tiles complement our large family-style tables constructed from reclaimed timber to complete the look. 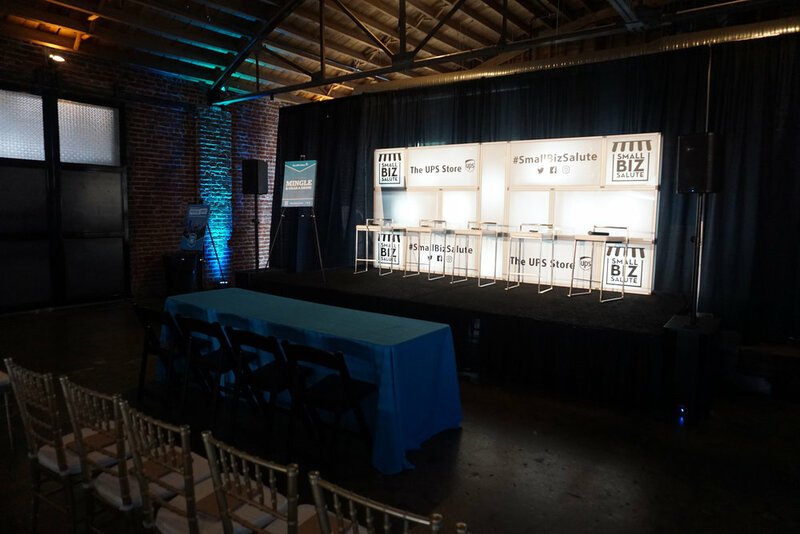 Rental of the event venue also includes use of the garden space, accessible parking, a prep kitchen and dressing room, tables, chairs and linens, as well as usage of the built-in bar and glassware. Security, bartenders, set-up and break-down services are also included. The Guild's indoor venue boasts a capacity of 250 seated guests (general) up to 300 guests (cocktail-style). The outdoor garden area holds up to 250 guests for a seated event. and linens in black, white or ivory. Event pricing for non-wedding events is broken down by day of the week and timing. Please reach out to us at info@theguildkc.com OR fill out our contact form. We would be happy to provide pricing for your event! We're located in the central Creative Crossroads district, only 2 blocks from Grinders and Kansas City Star and 3 blocks from the Sprint Center and P&L district. Convenient, private parking is available. 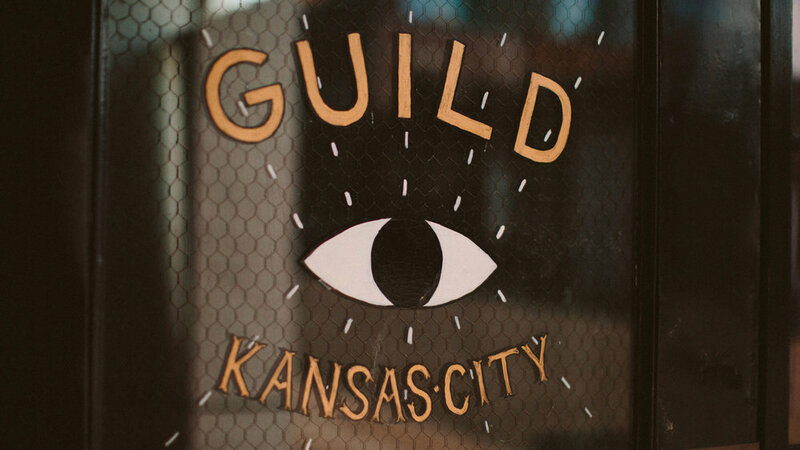 The guild provides one off-duty KCPD officer as security for all events starting after 5 PM. This officer patrols the parking areas and ensures orderly behavior in the venue. All beverage packages are subject to Missouri state sales tax. Please inquire with us about custom packages if you do not see what you are looking for below. The Guild provides trained, licensed bartenders. We determine the number of bartenders required for adequate service based on the size of your event. Bartenders for non-wedding/ corporate events are $200 each. We offer two options in regard to bartender gratuity: if you allow tip jars to be out the evening of your event, you do not owe a fee. If you choose not to allow tip jars, we then charge a 5% gratuity fee based on your bar package total. Beverage packages are priced per person for guests over 21 years of age. All bar packages include bar stations, glassware, napkins, ice, mixers and other necessary bar items. We do have a large variety of beer and alcohol options so if you'd like to change or add something please ask the Guild Manager, we'd be happy to accommodate if possible. If you would like to add a champagne toast or specialty cocktail, those items can be priced out for you by our Guild Manager as well. Alcohol from outside sources may not be brought in to the venue. The Guild requires all caterers be chosen from our list of exclusive catering services. No other caterers are allowed in our space. Please see below. Here at The Guild Event Space, we hold ourselves to very high standards — especially when it comes to our guests' experience. We do not offer in-house catering; therefore, we have chosen these caterers that we believe uphold the same values and quality that The Guild stands for. We fully trust these vendors to take care of you and your guests while hosting an event in our space.